Item # 313030 Stash Points: 18,995 (?) This is the number of points you get in The Zumiez Stash for purchasing this item. Stash points are redeemable for exclusive rewards only available to Zumiez Stash members. To redeem your points check out the rewards catalog on thestash.zumiez.com. 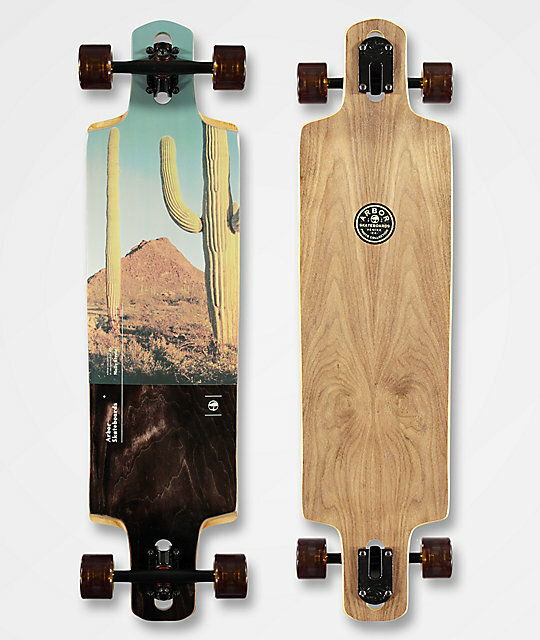 Cruise the streets and boardwalks in classic style this summer with the Arbor Drop Cruiser Photo Collection 38" Double Drop Longboard Complete. This drop down and drop through shaped complete keeps you close to the ground for easier pushes on long cruises while also creating a lower center of gravity for added stability. 69mm, 78a wheels ensure ample grip around steep corners and the abec 5 bearings therin keep you cruising farther and pushing less. Finished off with Paris 180mm trucks for insane levels of stability, you can cruise in confidence while kissing speed wobbles goodbye. 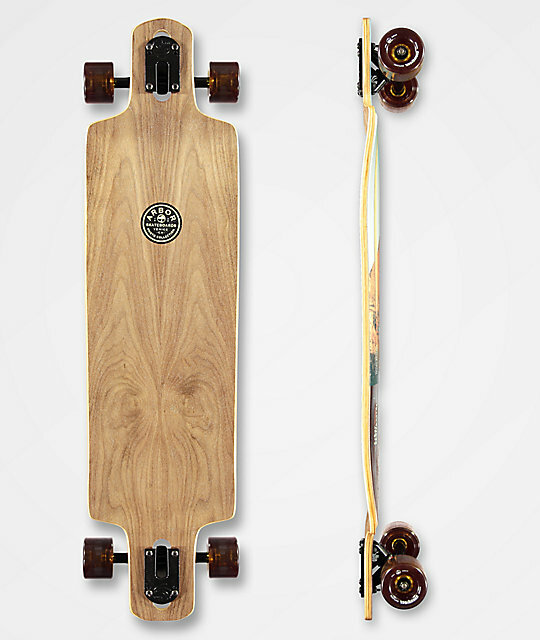 Drop Cruiser Photo Collection 38" Double Drop Longboard Complete by Arbor. 7-ply maple drop through, drop deck construction. Steep concave, cut out and milled wheel wells. Clear grip applied to top.